Appetizers, the funnest foods alive! well except for sweets (they really are the funnest!). 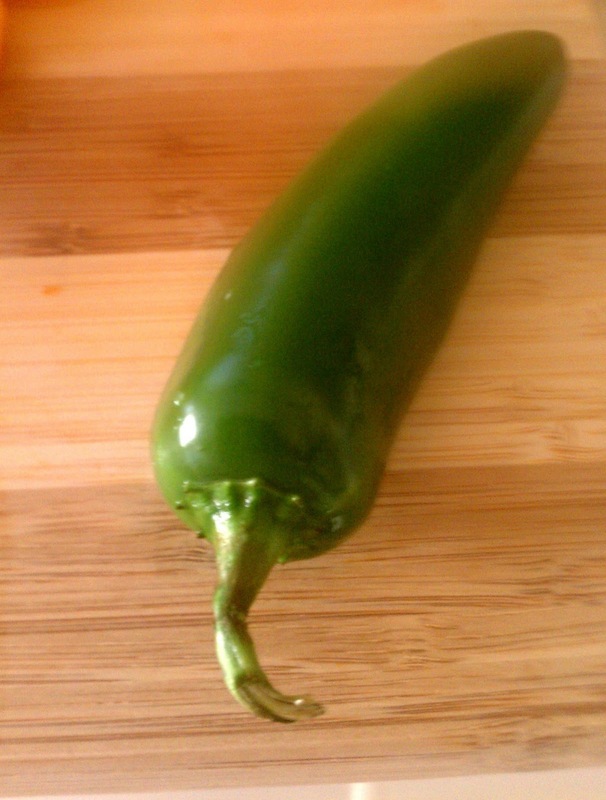 I love food I can pick at, it is my favorite form of eating. 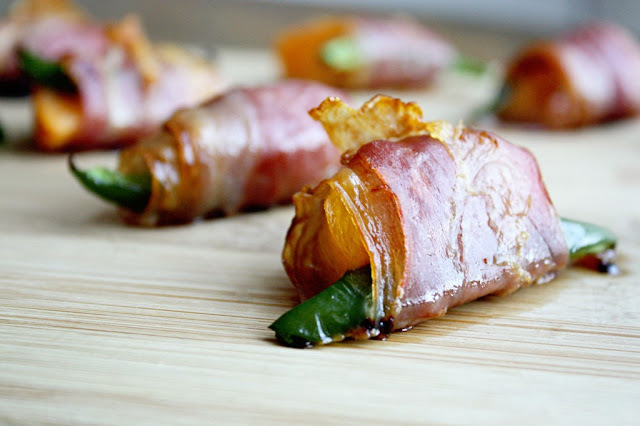 Prosciutto wrapped persimmons with jalapeno...Yum! 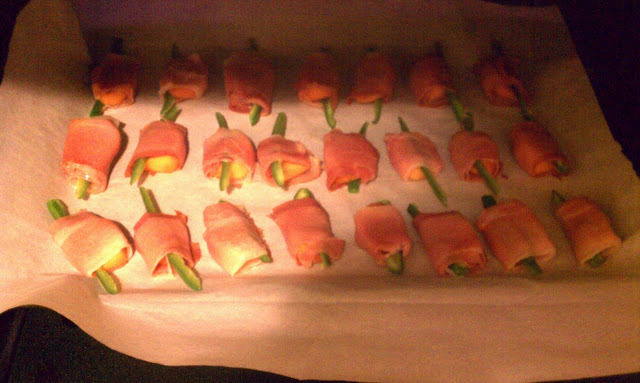 this delightfulness (yes I just made this word up, I do that, it's my thing) was presented to my loved ones on NYE and although they were a little cold by the time they were eaten they were still so good and refreshing, the only thing I would do different is to leave a bit of the jalapeno seeds for a kick of spice. 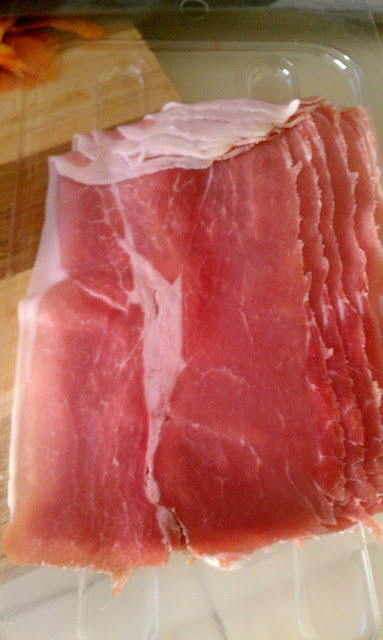 So the first photo was not taken by me, rather by the lady genius where I got the recipe from. 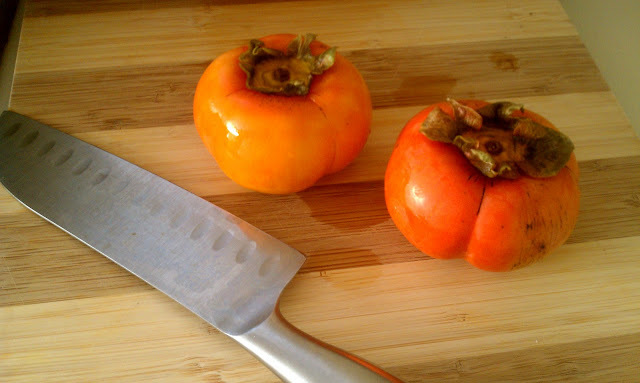 Persimmons for those not familiar with this strange tomato-looking fruit is a seasonal fruit and only appears in your grocery fruit aisle in fall and taste like a cross between a plum and a date. I love persimmons they are refreshing and unique in taste, and that's why this recipe is so brilliant you must try it!